Marea Jolley Nicholls of Owen Sound went to her heavenly home on Wednesday, May 30, 2018 in her 81st year. She was a resident of Regency Towers for 18 years and most recently lived at Summit Place, Owen Sound. Much loved Mom of son Lynn Nicholls and wife Lori, of Hoagland, IN and son Layne Nicholls and wife Julie, of Telford, TN. Cherished grandma of Cara and Stephanie Nicholls. Marea is survived by her brothers Ray Jolley (wife, Val) of Waterford and Ralph Jolley (wife, Joanne) of Meaford. Predeceased by her brothers Lloyd, Glen, and Carl and sister-in-law Dorothy Frawley. She was also loved by sister-in-law Vi Jolley, sister-in-law Sharon Jolley and several nieces and nephews. Marea loved knitting, crokinole and cheering for the Toronto Blue Jays. 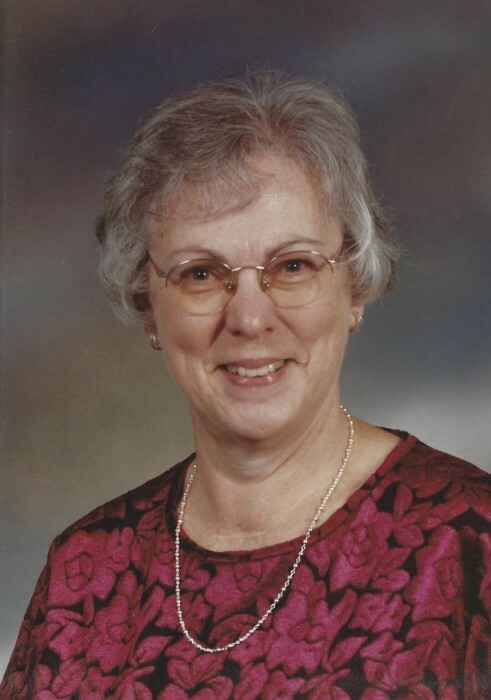 She was a member of the Alliance Church in Owen Sound. Friends will be received on Sunday, June 3rd, 2018 from 2pm to 4pm and 7pm to 9pm at the Breckenridge-Ashcroft Funeral Home, 241 9th St W, Owen Sound, 519-376-2326. A Funeral Service will be held in the funeral home chapel on Monday, June 4, 2018 at 2pm. Interment at Greenwood Cemetery. Memorial donations to the Word of Life Fellowship Canada Inc. and Alliance Church Owen Sound would be appreciated by the family.